If your family’s from the Midwest (especially Wisconsin or Minnesota, both of which have a significant Scandinavian-rooted population), you might remember your grandma boiling up big, big batches of what she called Scandinavian coffee (or perhaps Norwegian or Swedish coffee, if she wanted to get specific). If she was making it for a church get-together, she might have called it church basement coffee and brought along one of these heavenly potluck dishes. But what was that secret-ingredient coffee that Gran made? If you peeked in the percolator, you might have seen it. They are what make Scandinavian coffee the richly-flavored, amber-hued, perfectly-balanced perfect brew that it is. Or more specifically, a raw egg—shell and all—which you crack over and mix it into your coffee grounds to form a thick slurry, which you then boil for three minutes in a pot of water (we’ll get to the how-to just below). Not everyone knows this, but eggs have a seemingly magical power to “clarify” liquids from broth to wine to…yes, coffee. As the liquid is heated, the egg coagulates, drawing impurities out of the liquid and into itself. 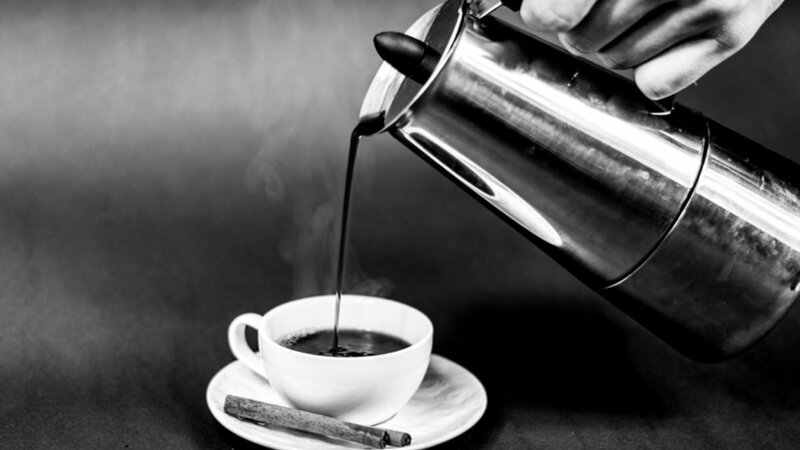 In the case of coffee, those impurities include substances that can cause coffee to taste bitter or burnt. Ultimately, the impurities also include the grounds, themselves. In other words, the egg acts as an “ick” magnet, filtering your coffee without the need for a paper or mesh filter (yay!). After a mere three minutes, the egg and grounds have formed a unified lump that you can easily strain as you pour yourself a cup. Set three cups of water to boil in a pot. Set aside one cup of cold water. In a small bowl, combine coffee grounds, egg (crush the shell as you mix it up), and the remaining 3 tablespoons of water. This is your slurry. When the water is boiling, add the slurry to the water and set a timer for three minutes. When the timer goes off, remove the pot from the heat source and pour in the cold water. Raw eggs are perhaps the most common source of salmonella food poisoning. Scandinavian coffee eliminates that risk by boiling the eggs for three minutes, meaning they are fully cooked and you can drink with confidence. How about some of our best coffee cake recipes to go with that delectable coffee?